Mayor Bloomberg Friday tried to downplay an embarrassing scandal confronting City Hall -- payroll consultants hired for their supposed efficiency and cost-cutting are accused of stealing $80 million. They allegedly siphoned off millions in taxpayer money for the past five years by slipping through the cracks and besides, the city can't investigate everything at all times, the mayor said in his weekly radio address. Four payroll consultants are accused of running an elaborate scheme using shell companies, kickbacks and international money laundering to steal millions from the CityTime payroll project, once touted as a model of computer efficiency by streamlining record-keeping. The scandal led Bloomberg and the city comptroller to suspend the head of the city's' office of payroll administration, Joel Bondy, stop payments to a contractor he used to work for and remove CityTime from his agency. 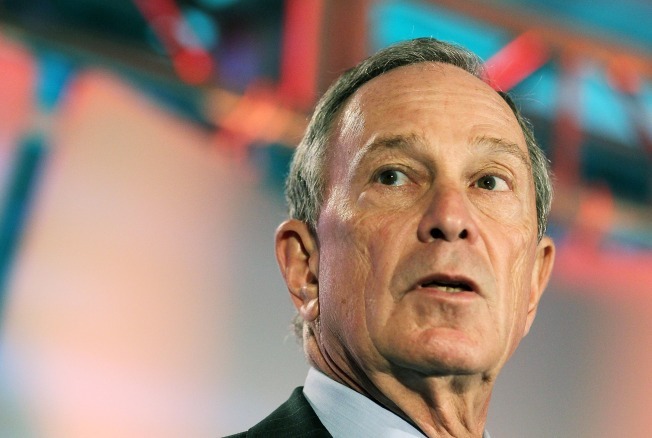 Bloomberg admitted that the fraud should have been discovered earlier but said that it involved many layers of contracts, which can be tough to police. Despite this scandal, he said the city is relatively corruption free. Payroll consultant Mark Mazer, his wife and mother, along with three other consultants were accused of using the city "as their own personal cash cow" lining their pockets and in some cases buying homes and fancy cars, said ManhattanU.S. Attorney Preet Bharara. In raids yesterday, an unidentified suspect in the scandal arrived too late with a duffel bag at a bank where investigators were set to empty safety deposit boxes.